Better decisions: By the time most users receive printed reports from spool files, the data is outdated. Business intelligence empowers users to make better decisions by giving them real-time data when they need it. Visual data: Upper management benefits from charts and dashboards because they see the big picture and can drill down into the details. IT saves time: Most IBM i programmers spend too much time writing and rewriting queries to get data into the hands of end users and decision makers. Mobile access: Instead of analyzing printed reports, users can access web reports from any of their devices, anywhere they are, at any time. Quick results: Business intelligence is a low-risk initiative that gives you quick results and requires a smaller investment compared to other modernization projects. 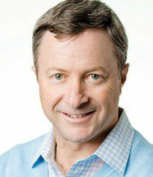 Duncan Kenzie is the Chief Knowledge Officer of BCD and Quadrant Software. Click here to learn about Business i™, Quadrant Software's business intelligence solution for IBM i. This entry was posted in All about i, Articles, Blog, Wisdom and Tips and tagged analytics, business intelligence, ibm i. Bookmark the permalink.